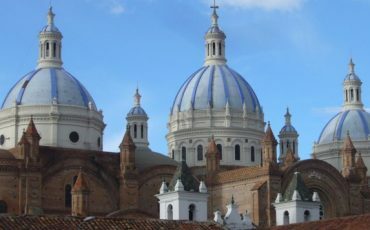 The different natural landscapes and the beautiful colonial cities of Quito and Cuenca are waiting for you on this small group tour. 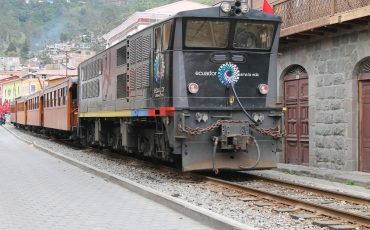 The magical Andes will let you experience the famous train ride to the Devil’s Nose, indigenous villages, colorful markets, the largest Inca site in Ecuador and, of course, the majestic snow-capped volcanoes. Your trip finally takes you through banana and cocoa plantations to the tropical port city of Guayaquil. 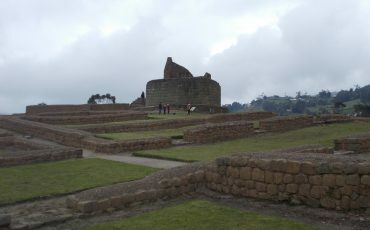 The Andean Treasures small-group tour is offered on specific dates. All tours start on a Saturday. Welcome to Ecuador! At arrival at Quito’ international airport, your local guide will meet and greet you and he takes you to your hotel in Quito’s buzzing new town. Pick up at around 8:30-08:45. Breakfast in the hotel. Your Andean Treasures tour begins with a visit to the capital of Ecuador. It is located at 2,850 meters above sea level, on the slopes of the Pichincha volcano and nestled in a green Andean valley. 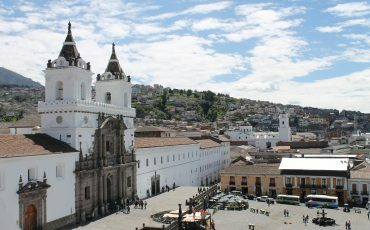 Quito, one of the oldest cities in South America, is also one of the few cities that has preserved numerous monuments and artistic treasures of the Spanish colonial period. The colonial centre of the city was declared a UNESCO World Heritage site in 1978. We will begin the tour with a walk through the narrow streets to visit some of America’s oldest and most beautiful churches such as El Sagrario and La Compañia, as well as the famous plazas of Santo Domingo, La Merced and San Francisco. We will continue to “El Panecillo” hill to meet the winged virgin and enjoy a fascinating view of Quito. 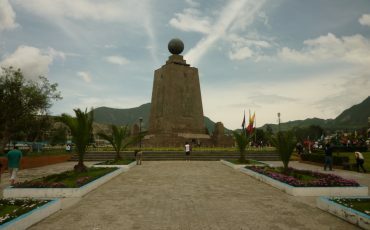 In the afternoon, we will drive to the famous Equator Monument “Middle of the World”, which is located in a dry valley on the northern outskirts of Quito. Here, we will visit the Museo del Sitio Inti Ñan, which was built by a private anthropological foundation next to the official equator monument. This beautiful solar museum has exhibits of different indigenous cultures and their traditional way of life. During this visit we will also see the startling evidence that demonstrates the exact location of the equatorial line. 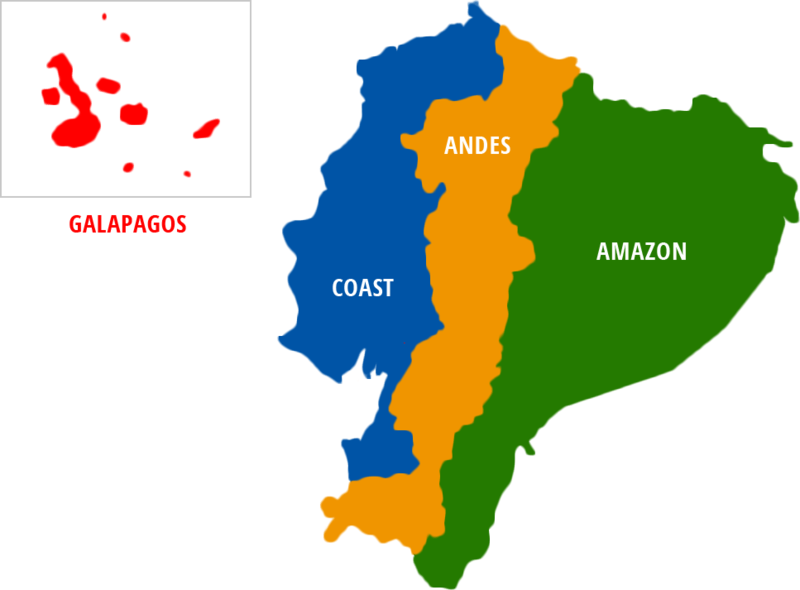 We will leave Quito and head south, towards the Cotopaxi province. Our first stop will be the indigenous market of Pujili, a treat for the senses. 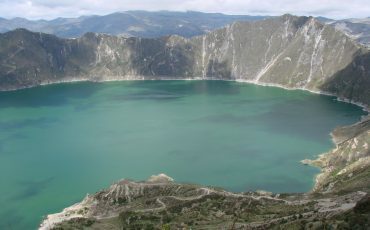 We will continue along winding roads that pass the most beautiful landscapes of the Ecuadorian Andes to reach the picturesque Crater Lake Quilotoa. From the crater rim it’s possible to walk down to the turquoise lake shores, a hike worth taking. No need to worry about the way back, because there are horses and mules (not included in the program) to help with the climb. Enjoy the unique magic and beauty of this crater lagoon. In the morning, we will drive to Cotopaxi National Park to discover its diverse flora and fauna. We will walk to Limpiopungo lagoon, which is located at an altitude of 3800 meters. Later on, we will visit one of the many rose plantations that have made Ecuadorian roses famous all over the world. A guided tour will introduce you to the different kinds of roses and the whole production process. Afterwards, we continue on to Baños, a lively pilgrimage town, famous for its thermal hot springs and its beautiful cathedral. 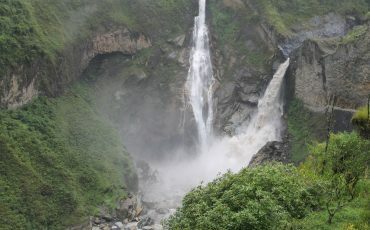 The town of Baños, located at an altitude of 1,800 meters, is blessed with a balmy, pleasant climate. We recommend that you visit the beautiful cathedral or simply enjoy the extraordinary scenery before starting the day´s adventure, the “waterfall route,” which runs along the Pastaza Canyon. The highlight of this route is located near Rio Verde, where a short walk through the cloud forest takes you to the thundering waterfall known as “Pailon del Diablo” (Devil’s cauldron). In the afternoon, your Andean Treasures small–group tour continues to the highest volcano in Ecuador, Chimborazo (6,310 m). In this desolate high-mountain region, you may encounter herds of shy vicuñas. The Edward Whymper refuge offers a great view from an altitude of 5,000 meters. The day ends in Riobamba. You’ve got an early start to hop on board one of the most famous train rides in the world, ‘the Devil’s Nose’. It’s an unforgettable journey down an almost sheer rock face, with the train making switchbacks all the way down the cliff and back up again. Have your lunch on the way to Ingapirca, the largest Inca site in the country, and learn about the Inca and Cañari cultures by touring through the beautiful temples and fortifications. Continue to Cuenca to check into your hotel before trying some of the region’s local specialties for dinner. After breakfast, start your tour of the beautiful colonial city of Cuenca, a UNESCO World Heritage Site. Your guide will show you the imposing new cathedral, the flower market and a workshop and museum dedicated to the famous Panama braided hat. After a restaurant lunch of local fusion cuisine, you’ve got the afternoon free to explore this charming city on your own. 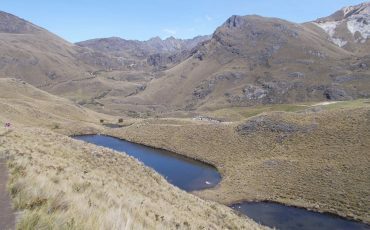 After breakfast, head west to cross El Cajas National Park. This reserve has an astounding variety of plant and animal life, as well as over 200 lagoons. Climb by car to an altitude of almost 4,200 metres above sea level for breath-taking views and the ultimate photo opportunity, before descending to the coast. 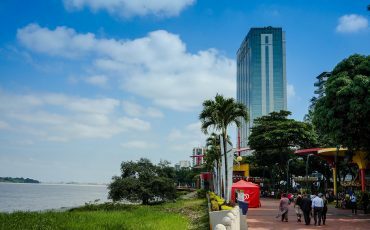 You’ll drive through cocoa, banana, rice and sugar cane plantations before entering the bustling metropolis of Guayaquil. Check into your hotel then take a city tour of this bustling port. See the Parque Bolívar, the Plaza de Administración, the Moorish Clock Tower and finally the Malecón 2000 boardwalk and the artist district of Las Peñas. Round off your tour with a farewell dinner at a traditional restaurant. Oct 26. – Nov 03. from US$ 1890,-p.p. Nov 10. – Nov 17. from US$ 1890,-p.p. Dec 07. – Dec 15. from US$ 1820,-p.p. Jan 18. – Jan 26. from US$ 1925,- p.p. Mar 01. – Mar 09. from US$ 1925,- p.p. Apr 26. – May 04. from US$ 1925,- p.p. Jun 07. – Jun 15. from US$ 1925,- p.p. Jul 05. – Jul 13. from US$ 1925,- p.p. Jul 19. – Jul 27. from US$ 1925,- p.p. Aug 02. – Aug 10. from US$ 1925,- p.p. Oct 11. – Oct 19. from US$ 1925,- p.p. Oct 25. – Nov 02. from US$ 1925,- p.p. Nov 08. – Nov 16. from US$ 1925,- p.p. Dec 06. – Dec 14. from US$ 1925,- p.p. 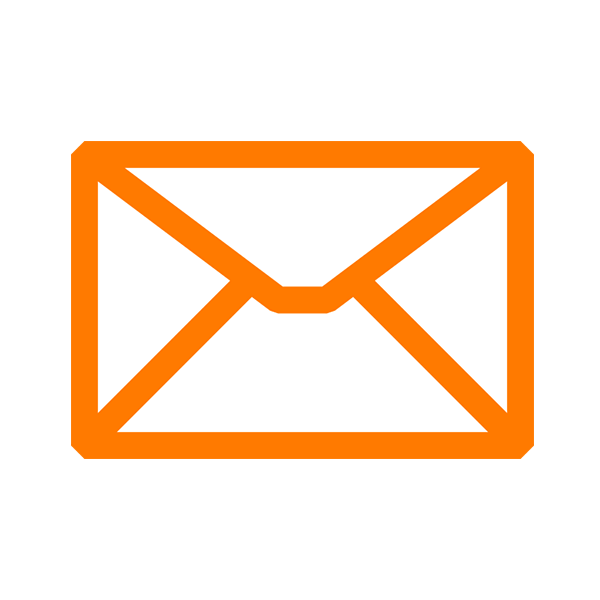 Single supplement fee: USD $530,-p.p.